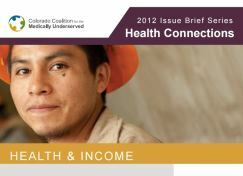 Coloradans that live in communities where residents have higher levels of income are more likely to report excellent or very good health. 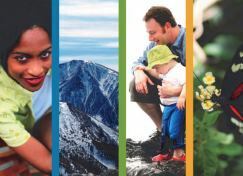 In 2011, Center for Health Progress expanded its staff and actively engaged key stakeholders and learn about their perceptions, expectations, and advice for our organization. 2010 was a year of change, the largest of which was the Affordable Care Act. True to our mission, we facilitated, educated, and advocated. 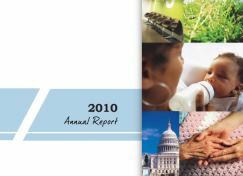 Although 2009 was a year of economic down-turn, Center for Health Progress cemented its reputation as the chief collaborator in the world of health equity. 2008 was a bittersweet year. It was full of many “goodbyes,” as well as many “hellos.” Good things are happening. 2007 was a wonderful year. 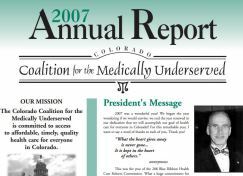 We renewed in our dedication that we will accomplish our goal of health care for everyone in Colorado.